Sorry, we are currently sold out of 'Ethiopia Guji Washed Grade 1'. Please check back later. Arrived late February 2016. This coffee is collected from local farmers and brought to the Guji Mill for processing; it is sometimes offered as "Ardi" but we sell it under the name of the mill. Though we have offered coffee from this mill in the past, this time we have a washed version that we were very impressed with on the cupping table and are pleased to share with you. 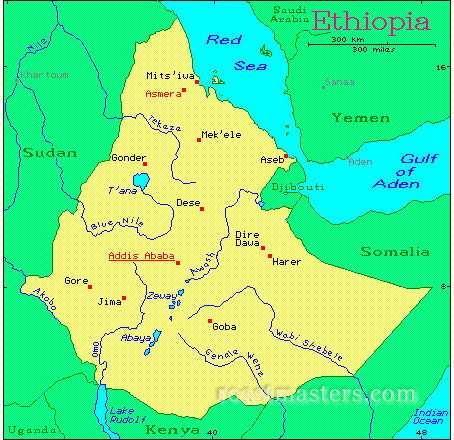 The mill, owned by Girma Edema, is located in the Guji area of the Sidamo zone. After being picked by hand it is dried on a raised bed in the sun for three weeks. During this process sorting the under-ripe cherry is continued by skillful workers. 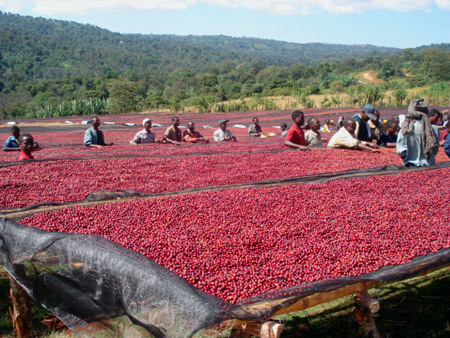 The extra measures taken in sorting make a big difference in roasting and final cup quality. Only the ripest cherry is harvested and it is spread on raised beds the same day. Every two hours the cherries are moved, for at least 15 to 21 days, to ensure uniform drying while on the beds. Extra steps taken in sorting the coffee after it is hulled. Cup Characteristics: Aromas of sweet peach and chocolate. Very big, bold character with a smooth, chocolate mouthfeel. Spicy, exotic, and clean. Roasting Notes: Lends itself to a variety of roasts. At City+ the lemony character is best preserved, but as you roast this coffee a bit darker, it will present more body and chocolate mouthfeel. You may wish to experiment by taking the roast to the outset of second crack.